Marriage is a wonderful but a difficult journey we all have to take at some point in our lives. Just like other aspect of life, having a problem-free marriage is not easy because we must all at a point in our life have to deal with common marriage problems, and if we don’t know how to solve them quickly we might end up losing our marriage. 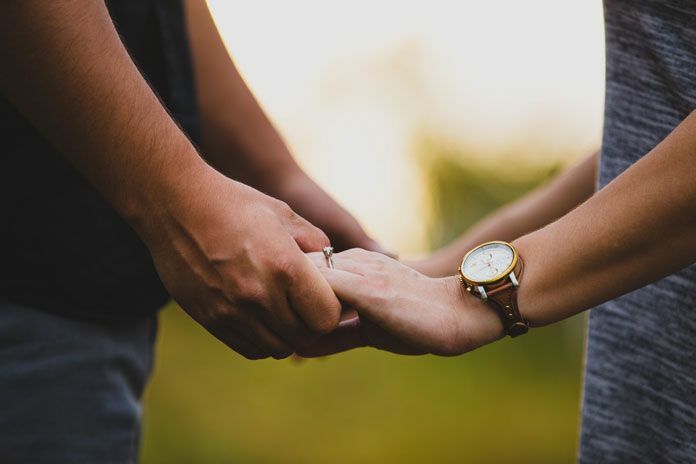 One of the most important marriage tips and solution for couples dealing with Christian marriage problems is working as a team to overcome the obstacles they are facing. Many marriages have failed simply because couples often times try to fix their marriage problems individually or by taking advice from someone outside the marriage. Working on the problems together as a team will bring you closer and strengthen your christian marriage. Communication is a key to successful marriage. Keeping the lines of communication open in a marriage is essential to a successful union. You must learn to talk to your partner about anything in order to keep your marriage functioning. One of the most common Christian marriage problems many couples face is lack of communication. Many marriages fail because the couple cannot communicate with one another. On many occasions, couples often feel they share nothing in common, and they barely speak to each other in the marriage. This might happen because they have different personalities and don’t share same hobbies and likes. Just because you can’t find any similar likes it doesn’t mean you and your spouse can’t stay happy. A tip on handling this communication gap is to make an effort and get involved in your partner’s activities but always respect each other’s decision. Create and spend more time with your spouse, it will help you find some new things or activities you both like and want to share together. Are you and your spouse currently struggling with some challenges and keeping your family intact your goal? There are Christian marriage problems solving tips that can help to avoid the conflicts. Although no marriage is perfect and all couples will one-way encounter problems of some kind be it big or small. But in whichever way, it’s essential that couples learn to resolve them as quickly as possible. Christian marriage problems exist because there are two people involved. For the fact that two people cause the problems in the first place then it’s ideal that they both have to solve the issues in order to have a successful marriage. Often times a couple starts out trying to resolve a problem by discussing it but later ends up quarreling and insulting one another. Soon the main goal changes to see who can hurt the other person the most. Since the goal is to settle their dispute, it’s very important to follow the main objective strictly to fix the marriage problems and to have peaceful marriage. Yelling, arguing and accusing your spouse will only make the matter worst. Don’t forget to set a good time for discussion, talking in a public place, in front of your children or when one partner is in bad mood is not proper. Instead, set a time and keep to it to settle your differences. According to what James wrote to Christians, “swift about hearing, slow about speaking, slow about wrath” (James 1:19) Any time you’re discussing an issue or trying to settle conflicts as a Christian, it’s good to always listen and allow your spouse to express his or her opinion on the issue. Listening is very important. Same way you want others to listen to you and express your feelings, your spouse is also feeling many things and they need to be able to talk to you about them, openly and honestly without fear of being verbally attacked back with their words. It’s difficult when the person we love starts criticizing us, but it’s crucial to hear and absorb what they say if you want to save the marriage. Give your partner the opportunity to talk about what they’re feeling without you interrupting until they finished talking. It will help you to understand how they are feeling. Ephesians 5:33 say “However, each one of you also must love his wife as he loves himself, and the wife must respect her husband”. All Christian couple must learn to show appreciation to whatever each partner does to make the marriage successful. A simple word like “Thank you” will mean a lot to your wife or husband. As a Christian when last time did you tell him how much you appreciate his efforts when he helps with house chores, pay the bills, care for your children, spend quality time with you and your children, or when he presents you a gift? Being a husband, when last time did you tell your wife how beautiful she is or how much you appreciate her contribution in providing for your home needs or for fulfilling her role as a loving wife and a caring mother. (Proverbs 12:4) “An excellent wife is the crown of her husband, but she who brings shame is like rottenness in his bones”. If you fail in this aspect, it’s never too late to start appreciating your husband or praising your wife. Appreciating one another will create a bond that will make you want to quickly end a quarrel just to hear those lovely comments once again. It hard to stay in a marriage without hurting each other. The level of the sin committed may vary but one must learn to forgive and let go of any grudges. Forgiveness does not mean we are no longer aware of what happened, it means we will not bring it up again to hurt the other person with it anymore. Colossians 3:13 says, “Forbearing one another, and forgiving one another, if any man has a quarrel against any: even as Christ forgave you, so also do ye” We must forgive the way God forgives. A good Christian must learn to forgive his or her partner when the confession of sin is made known to us. This might with be difficult in certain cases but then ask God to help and give you the heart to overlook his or her mistakes and forgive. When there is true love then forgiving one another won’t be a big problem just as God loves us and willing to forgive us all our trespasses. Are you having a problem in your home and don’t know how to go about it than take it to God in prayer. Pray about all Christian marriage problems arising in your home. Before addressing any serious problems pray about the matter. Ask God for wisdom on how to handle marriage problems. God is our father and will never want his children to have a broken home. As a Christian couple make sure you’ve taken time to sit together and pray over your problems and don’t forget to apply Bible principles in your daily life. All Christian marriage problems could be solved with the help of God and your constant efforts. Always look for a marriage problem solution and you definitely will find it! Related articles: How to set priorities order in Christian family? Previous articleChristian family budget planning – Should couples merge all their money?